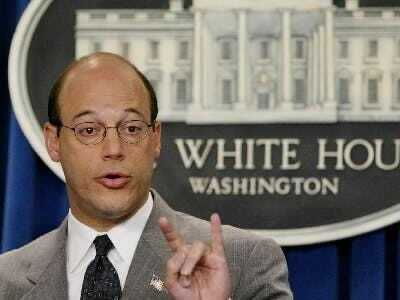 After serving as George W. Bush’s top flack for all those years, Ari Fleischer proved that he can defend the most hated media villains. That’s why the BCS hired Fleischer last year to deal with all its controversies. And it’s why Tiger Woods just hired him, in anticipation of his return to golf. Tiger Woods has summoned someone even more significant than swing coach Hank Haney to help facilitate his wildly anticipated comeback. Two sources in the golf community have told The Post that Ari Fleischer, the former presidential advisor to George W. Bush and the man who was brought in to help repair the steroid-shattered image of Mark McGwire, has been huddling with Woods, plotting a strategy for his return to golf — at the Arnold Palmer Invitational starting March 25 at Bay Hill in Orlando. “They were in his living room this week going over a strategy for how to handle Bay Hill in two weeks,” one source told The Post.